Stute Foods is a family company, founded in the UK back in 1969. We’ve since grown to become a leading supplier of superior quality food and drink products worldwide. We have always taken pride in offering not only great-tasting products but in building long-lasting relationships and trust with our customers both in the UK and internationally. Stute's diverse range of products includes Fruit Juices, Juice Drinks, Jams, Marmalades, Spreads and Waffles. Stute Foods is delighted to announce the launch of a new Hazelnut Chocolate Spread containing no added sugar. 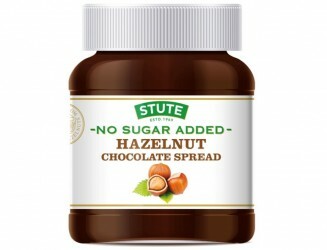 Stute’s No Sugar Added Hazelnut Chocolate Spread is a new addition to the No Sugar Added portfolio and offers consumers a healthier alternative to the market leader. 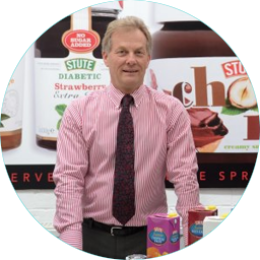 Bristol based Stute Foods is a family business that has grown to become a major international food and drink brand. This dramatic cake uses Greek yogurt & rapeseed oil rather than butter and is spread with Stute No Added Sugar Jam & low fat creme fraiche so is healthier all around.